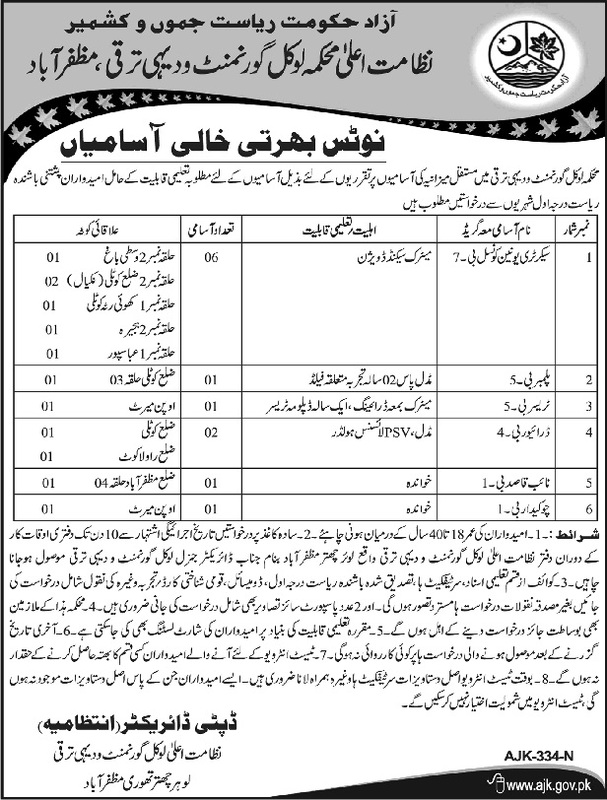 Government of Azad Jammu and Kashmir Jobs 2018 in Department of Local Government and Rural Development Muzaffarabad in Daily Osaf Newspaper 09/02/2018. Only Citizen of Azad Jammu and Kashmir Candidates can apply for these jobs. Interested candidates can apply for following posts. Secretary Union Council (BPS-07), Plumber (BPS-05), Tracer (BPS-05), Driver (BPS-04), Naib Qasid (BPS-01) and Chowkidar. Candidates who are already working in Said Department may apply.